The National Ploughing Championships near Athy, Co Kildare, form.Tuesday 20th – Thursday 22nd of September 2011. ...Picture were left to right;.....The National Ploughing Championships and the International Eucharistic Congress National in Ireland are celebrating their 80th anniversaries.. 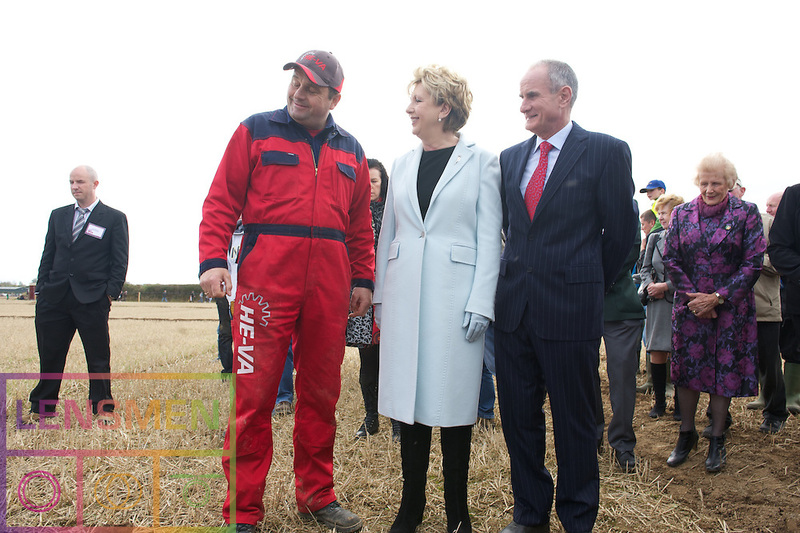 The National Ploughing Championships near Athy, Co Kildare, on 20.09.2011.President Mary McAleese and Simon Coveney TD, Minister for Agriculture, Food and the Marine.....President Mary McAleese, Simon Coveney,.The National Ploughing, NPA, IMAGES, www.lensmen.ie, image, it@lensmen.ie, Lensmen Photographic Agency,.